Many of us are facing unprecedented attacks on our democracy, our privacy, and our hard-won civil rights. If you're Black in the US, this is not new. As Colorlines editors Akiba Solomon and Kenrya Rankin show, Black Americans subvert and resist life-threatening forces as a matter of course. 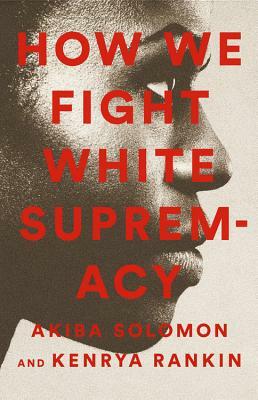 In these pages, leading organizers, artists, journalists, comedians, and filmmakers offer wisdom on how they fight White supremacy. It's a must-read for anyone new to resistance work, and for the next generation of leaders building a better future. Akiba Solomon is senior editorial director of Colorlines and an NABJ Award-winning journalist and editor whose writing on culture, race, gender, and reproductive health has appeared in Essence, Dissent, Glamour, Vibe, and Ebony, among other outlets. She is the co-editor of Naked: Black Women Bare All About Their Skin, Hair, Hips, Lips, and Other Parts. Solomon has spoken about women's and social justice issues at institutions including the Schomburg Center, Stanford, Yale, and Harvard. A graduate of Howard University, she is based in New York. Kenrya Rankin is an award-winning author, journalist, editorial consultant and the editorial director at Colorlines. Her work has appeared in dozens of national publications, including the New York Times, Glamour, Reader's Digest and Fast Company. She is the author of four books, including Bet on Black: African-American Women Celebrate Fatherhood in the Age of Barack Obama. A graduate of Howard University and New York University, she is based in Washington, D.C.